Bond (from bonding in chemistry) helps students learn about solubility and precipitation of salts. 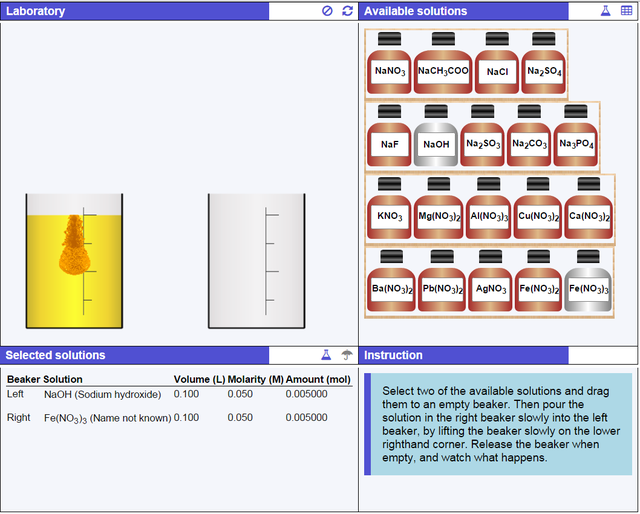 Bond contains a database with thousands of salts and the most common ions, with information about solubility and colours. 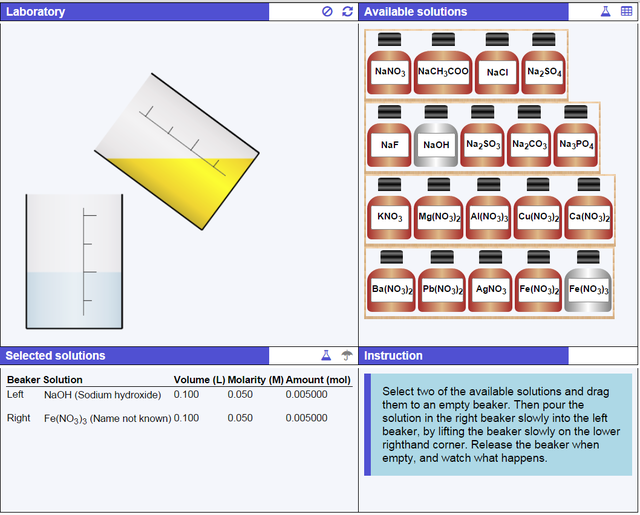 The setup is similar to what students would do in a real chemistry lab. 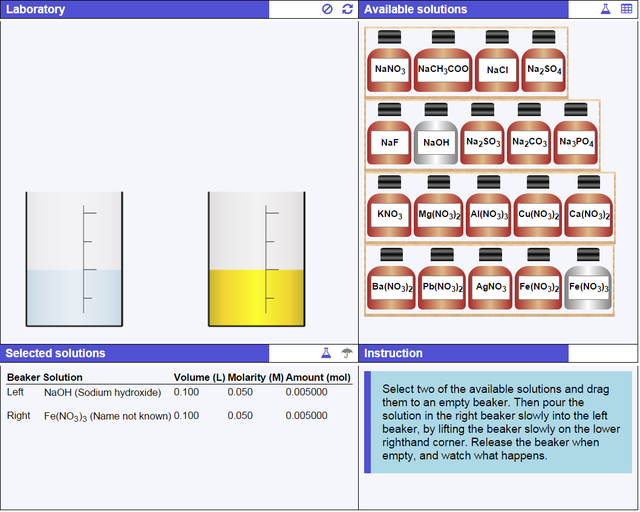 They select two solutions, mix them and then observe whether a reaction takes place and a precipitation occurs. When that is the case students have to select the ions that make up the precipitated salt, enter the charges for the ions, and finally determine the coefficients to complete the reaction. 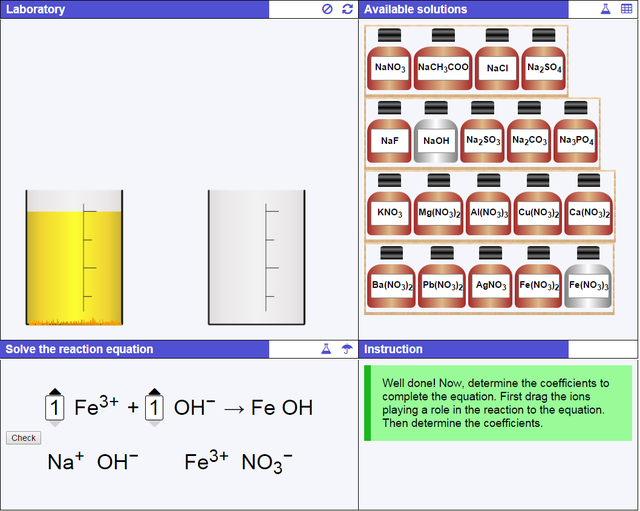 Teachers can configure the solutions students can select from by clicking on the gear icon. During configuration it is also possible to define "mystery" solutions. Enter an (arbitrary) name after the Mystery field for the solution, and the chemical formula on the bottle for that solution will be replaced by the name entered.